That’s a bold statement. While comic marketers love to label books with lines like “the comic that changed Marvel forever” or other similar hyperbolic statements, as readers, we expect them to be just that. Hyperbole. But both Brevoort and Editor-in-Chief Axel Alonso have run a consistent line in saying this is the real moment we’ve been waiting for. The one the marketing team behind hyping the game changers of the past had promised before. I’ll admit: I’m excited. From what we’ve seen, there have been a bevy of exceptional looking titles. 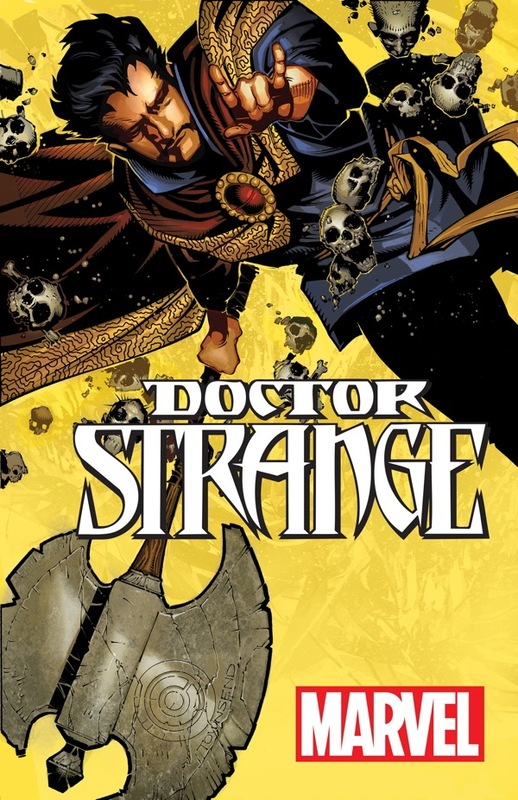 A Doctor Strange book from Jason Aaron and Chris Bachalo? That’s the comic equivalent of the fire emoji. Miles Morales as Spider-Man in the 616 with Brian Michael Bendis and Sara Pichelli working on it? Yes, please. The creative staff and editorial team have a lot of reasons to be proud of what they’ve accomplished so far as their job is to make good looking books. Mostly, they’re succeeding. My problem lies with the marketing staff I mentioned before, or whoever came up with the “All-New, All-Different” tagline stamped everywhere on this endeavor. As of the Monday before the overall line reveal, we’ve seen twelve official announcements – not including Rich Johnston’s bevy of posted leaks – and zero of the books a) star a truly new character or b) feature new creatives. You could argue that the (totally awesome) Hulk is different, as we have no idea who he (or she, I suppose) is. But so far, the ten announcements have existed in opposition to the idea behind the marketing plan. The moves have been more akin to playing musical chairs with creative teams and characters, putting them in familiar, comfortable settings for both themselves and readers. That’s not a good thing, and not what Marvel itself is promising with the promotion of its own line. Now, I know what you’ll say: they’ve only announced twelve books of a line of more than sixty so far. That’s true, and it’s possible the remaining list of comics will feature new and/or different characters, creators and titles. We’ve seen in the teaser images that characters liked Red Wolf, Citizen V and Doctor Spectrum will be involved in some capacity, so others are coming. A big part of why they’re likely leading with known quantities is because they’re that – known. They’re the more marketable characters and creators, which is something Brevoort himself pointed out when asked whether there would be brand new characters in the next generation of Marvel. “Yes, as part of All-New All-Different Marvel absolutely. There’s not necessarily a point to showing a new character in a teaser because fans would be like, ‘who is that person no one recognizes?’ and it would be unsatisfying. But yes, some brand spanking new characters are on the Marvel horizon. That’s a good thing. New characters are coming, we just haven’t seen them yet. But again, the issue falls on the marketing. In publishing fields like comics, marketing efforts aren’t meant to pick up people who are already fans similar to me or my SKTCHD Out co-host Brandon Burpee. Marvel already has us, and there’s no point in spending money to garner interest from us. “All-New, All-Different” isn’t for pre-existing comic fans. It’s an attempt to get new readers onboard. That’s why you see Marvel announcing new books on Mashable, Glamour and The View rather than popular comic websites such as Comic Book Resources, Newsarama and Bleeding Cool. Marvel doesn’t want their next wave of comics to be comic book hits. They want them to be crossover hits, like Game of Thrones. Stories that transcend their genre or medium and become hits with everyone. But how can Marvel get potential new readers excited when they’re running back the same formula that those prospective fans were already ignoring? Take Uncanny Inhumans, for example. That’s the book Mashable announced, and save for the Human Torch and Beast joining the squad, the book is much the same – down to the creative team – as the one that had an okay debut, sales-wise, in April. What will announcing the same book on Mashable, a digital media site, do to drive excitement out of new readers? Next to nothing, realistically. In that case, why not announce something completely new and different if you have it to announce? To the average non-reader, the tried and true at Marvel is easy to deal with. Glance at the story on Mashable, move on and continue not reading comics. It’s simple. That’s why Brevoort’s explanation of why they’re leading with previously known characters doesn’t ring true. The comics that have become crossover hits in a real, tangible way have been titles like Ms. Marvel and Saga. Now, I doubt they’d have Brian K. Vaughan’s attention if they offered him a book. But Ms. Marvel is a perfect example of what they should emulate with this first wave. It has reached new audiences because its new and different. That aspect isn’t just marketing – it is the core of its being. 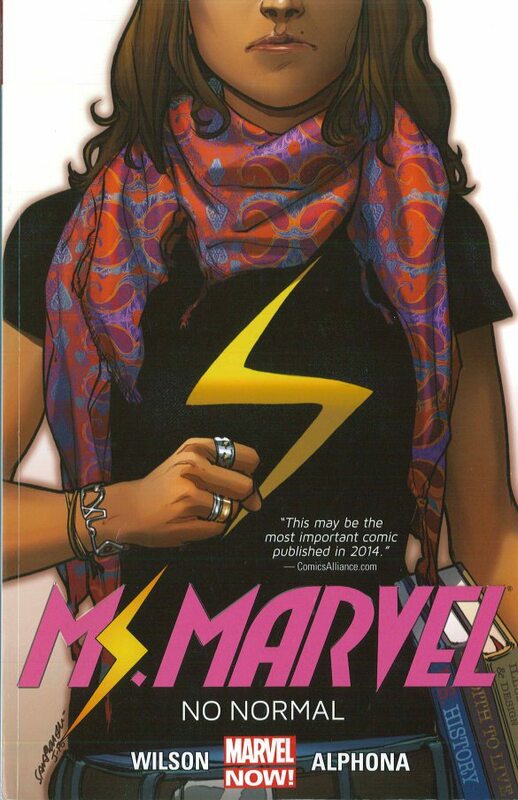 Kamala Khan has meant the world to people who have never seen themselves in a Marvel comic before, and it’s not just Muslims, but women and modern young people. And it’s good. Very good. That’s why the pre-existing fans love it too. Do you remember the excitement that came from Ms. Marvel’s announcement? The mainstream news coverage due to how far Marvel was going outside its norm? It was crazy, and it led to the single weirdest interview I ever did – a college news show in Massachusetts interviewed me on Kamala – because of how sprawling and diverse the interest was in the character. You’re not seeing that buzz about of the books we’ve seen announced so far. Beyond that, we’re not seeing new voices brought to the comics themselves. The only two creators announced so far who are new to Marvel comics – Tara Butters and Michele Fazekas of Captain Marvel – are Marvel TV veterans, having acted as showrunners on the Agent Carter TV show. Even they are known quantities at Marvel, the sprawling entertainment entity. Where are the attempts to invite noted creators not typically found in the field of comics or bring in fresh perspectives from comics outside of Marvel’s existing orbit? It’d never happen, but how cool would it be to see Marvel bring back the enormously popular Raina Telgemeier to write a young X-Men comic? While I’m a fan of comics, a marketer and someone who does a reasonable impersonation of a person who writes intelligently about them, I don’t want to pretend like I know more than Marvel about their own business. But this “All-New, All-Different” promotion has been a showcase of a company misunderstanding what makes comics interesting to those who do not already read them. Even Brevoort himself has pushed back at the marketing efforts, to a degree. When queried on a press release line about Marvel’s universe being more reflective of the real world in the All-New, All-Different future, he said, “regarding that specific line of the press release, it’s no real change from what we’ve done in the past.” While he meant this as a positive statement towards what Marvel has strived to do in the past – their advantage over DC has always been their characters being more relatable – it can be read as a statement that maybe this all-new, all-different Marvel isn’t that new or different. Same as it ever was. Like I said before, though, I am interested in what has been announced so far. There are gems in the mix already, and as a long time fan, I’m thrilled to see a character like Doctor Strange get a top creative team on an ongoing for the first time in forever. But of course I am. I’ve read Marvel comics since I was seven. I’m reading them at 31. Odds are, I’ll probably be reading them in another 24 years, perhaps to the chagrin of my wife. Whether their attempts at attracting the enamored fan base of their ever growing film universe with this promotion are successful is uncertain, at least for a few more months. But what this marketing effort says to me is that Marvel believes the perception of being “new” and “different” is more valuable to them than actually being those things. That’s where my problem lies, as the online promotion of this endeavor is hollow and incites certain parts of its audience, at best. At worst, it reveals Marvel as a publisher is as misguided in reaching its goals as the heroes and villains that comprise its stories. As a fan, I want tomorrow to prove me wrong, showcasing the new and different that will redefine the next 50 to 75 years at the House of Ideas.